Perhaps you gasped when you looked up and saw the dust on that chandelier in your dining room. Now you're wondering how to get it clean and sparkly before your dinner guests arrive. No need to freak out. 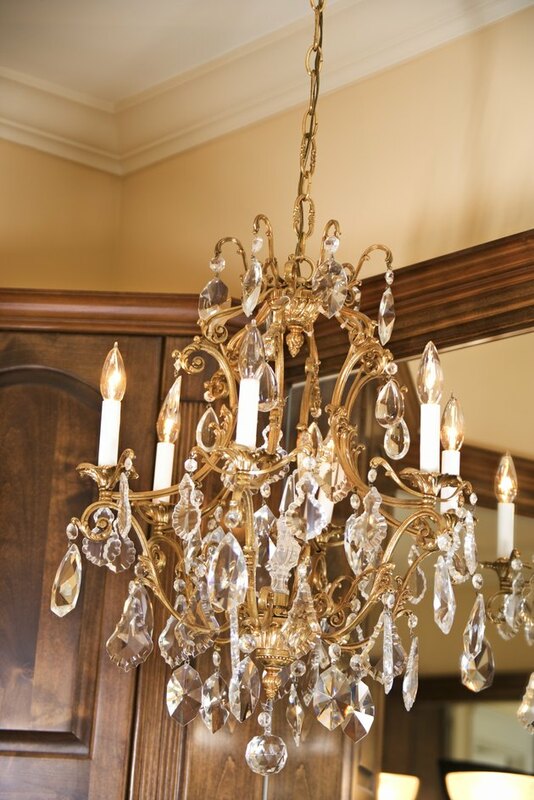 You can clean your chandelier quickly without taking it down or tearing it apart. Get your chandelier sparkling again using the drip-dry technique. Make sure the chandelier's light bulbs are off and not hot. Lay bath towels underneath your chandelier to soak up any moisture or mess that may occur during the cleaning process. Then set up your ladder. Cover any light sockets with plastic baggies and secure them underneath the socket with twist ties or rubber bands. This way, no cleaner will get into the socket and cause you any electrical problems. Grab your window cleaner and spray down the entire chandelier. Don't be afraid of having it dripping wet -- this will help slide the dirt off and onto the towel. Allow the chandelier drip dry. Your chandelier will be ready for any guests you may be expecting.